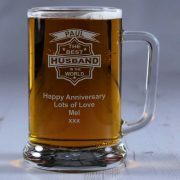 The perfect personalised gift to give for Anniversary, Valentine's, Wedding, Fathers Day or just to say how much he's loved. ‘To have and to hold, for better for worse, for richer for poorer’. 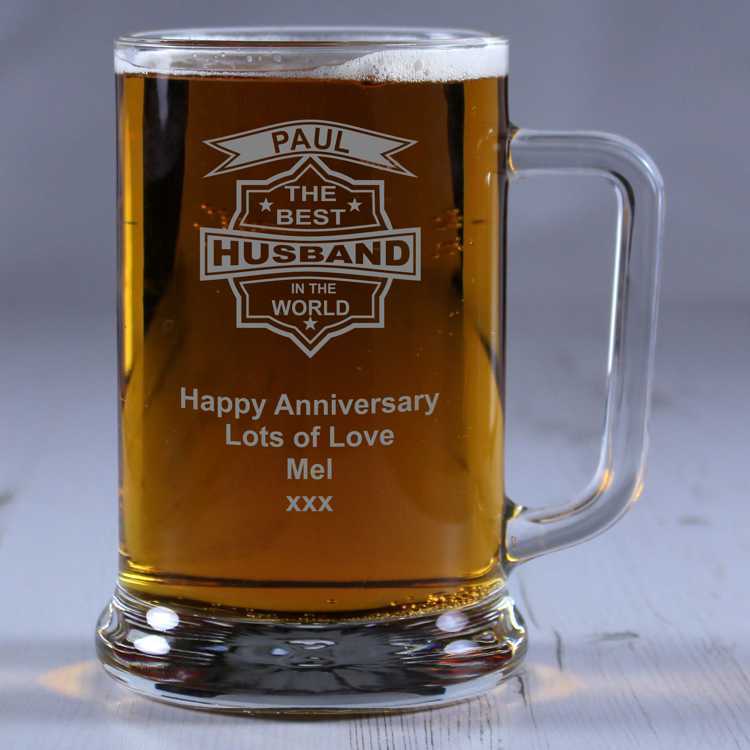 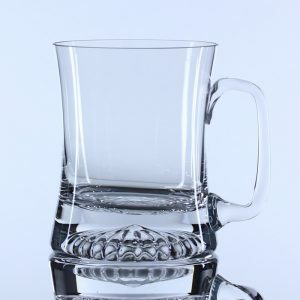 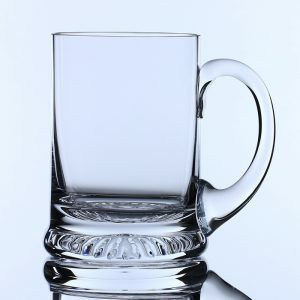 He’s taken his vows and kept by them so why not show just how much he means to you with our ‘Best Husband in the World’ engraved glass tankard. 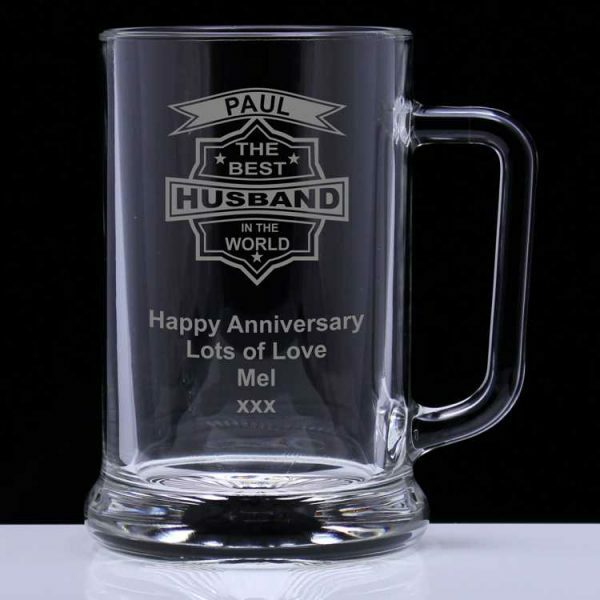 You can personalise it by adding his name in the banner on the top of the design and you also have the option of having your own personal message engraved below over 4 lines with up to 20 characters per line. 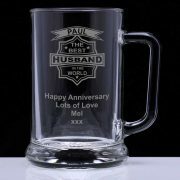 A truly wonderful personalised gift for any occasion. 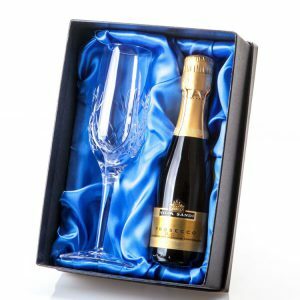 Supplied in a free gift box with the option to purchase a luxury satin lined presentation box. 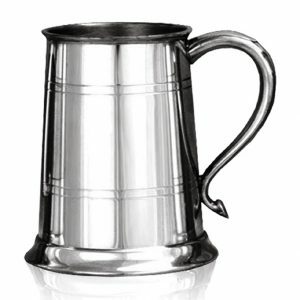 Earn 64 Reward Points worth £0.64 with this product.